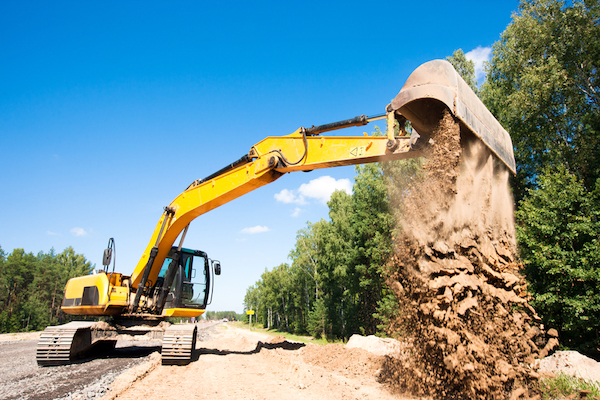 Whether you’re digging holes, shifting dirt, or moving large objects, excavators are one of the handiest pieces of construction equipment to have on the job site. You can also choose from a variety of attachments to help out with specific jobs, such as buckets for hauling and blades for pushing. When you’re looking to get the job done, check out the excavator attachments available from these top five manufacturers. As the largest construction equipment manufacturer in the world, you know Caterpillar will have the excavator attachments you need to get the job done quickly and precisely. Whether you need to dig holes for trees, posts, or footings, Caterpillar offers a full line of augers to meet your needs. Caterpillar also has buckets in a variety of sizes for all your jobs. Consider a 9-inch bucket when you’re using a mini excavator to dig small and precise holes. For large jobs that need a significant amount of dirt moved, you can find buckets that go up to 60 inches wide. For lifting and moving items, you can use grapples or thumbs. Caterpillar also makes high-performance breakers that are ideal for construction, demolition, and quarrying. When you need to pack down dirt for a level and smooth surface, you’ll find a nice selection of compactors made to fit Caterpillar excavators. Additionally, you can get rakes, rippers, and multi-processors for all your construction needs. Behind Caterpillar, Japan-based Komatsu is the second-largest manufacturer of construction equipment in the world. While the company offers grapples, breakers, and crushers, it’s known for its buckets. Komatsu has a complete range of buckets designed to increase your productivity. For your excavator, you can get a Komatsu bucket built and tested to withstand even the harshest conditions. The buckets are designed to easily handle every phase of the working cycle. The strong teeth smoothly penetrate the ground, and the curl of the bucket makes for fast uptake. Finally, with one tip of the bucket, you can quickly and effortlessly empty whatever you’re hauling. Plus, whether you need a small bucket for your mini excavator or a heavy-duty bucket for those large jobs, you can find options in a variety of sizes and strengths. Although John Deere is known for its agricultural equipment, the company also offers a full line of construction equipment, including excavator attachments. You’ll find an incredible selection of buckets for a variety of jobs, including multi-purpose buckets, rock buckets, side discharge buckets, rollout buckets, utility buckets, and foundry buckets. If you’re using your excavator to push heavy items, you can use one of the dozer blades, snow blades, or scrapers. The augers and trenchers make it easy to dig holes and trenches. If you need a hammer to break through concrete, some of the latest attachments from John Deere come with 30 percent fewer parts, which means less downtime for maintenance or repairs. You can also find cold planers that are ideal for pavement or concrete repairs, as well as landplanes that quickly cut or scrape dirt for a smooth and even surface. Known for its versatile compact excavators that can handle a range of tasks, Bobcat also makes several attachments to help with the jobs. You’ll find your usual assortment of buckets, blades, pushers, and planers. If you’re doing landscaping work, you might discover that the selection of chippers, seeders, flail mowers, and augers are indispensable tools. Additionally, while the three-tine grapple is excellent for moving logs and landscaping stones, you’ll also find it good for clearing land, demolition, and construction. The three-tine grapple isn’t the only excavator attachment Bobcat makes to help with construction projects. The clamp bucket can pick up and move heavy and oddly shaped objects, and the ripper is the ideal attachment for penetrating hard ground. England-based JCB produces over 300 types of machines, including its popular excavators. When you need to enhance the productivity of your excavator, JCB attachments can help. You’ll discover a variety of buckets for better digging and moving, including deep profile buckets, ditch maintenance buckets, grading buckets, jaw buckets, tapered ditching buckets, and square hole buckets. When you need to pick up and move oddly shaped items, consider a brush grapple, muck and fork grab, or scrap grapple. If you’re looking for attachments that can help you break through dirt, go with the ripper tooth, earth drills, or trenchers. No matter what type of job you’re trying to complete, contact BigRentz to discover an excellent selection of excavators and all the attachments you need to go along with them.